This client invited us back for a redesign of his Barefoot Landing store. 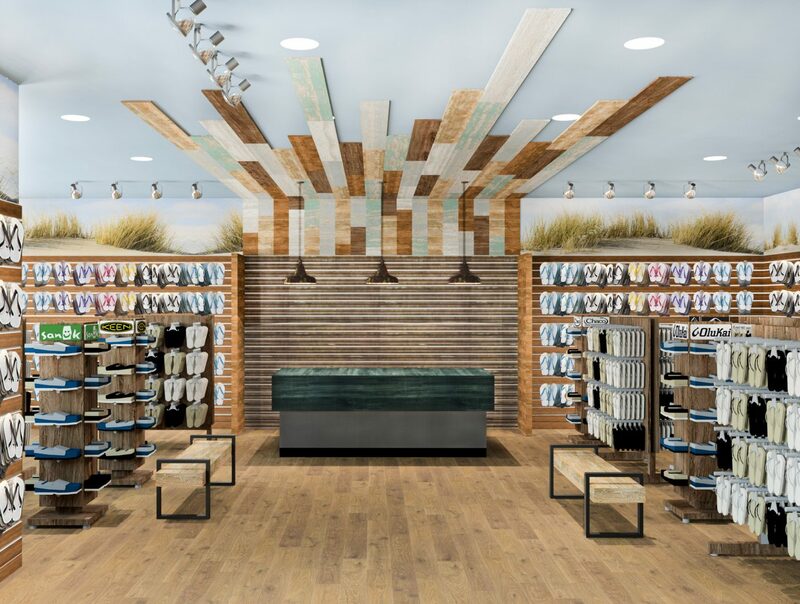 As the owner requested, we repeated the same ceiling boards that are in the Broadway at the Beach location; except this time we painted the boards various, subtle colors to compliment the “sand and sun” beach graphic that runs the perimeter of the store. New flooring, accent lighting, and backdrop of subtle colors highlight the essence of the brand.